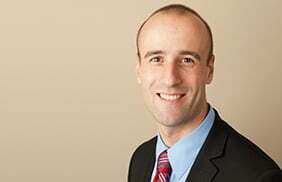 Matthew E. Hurff, an associate with the firm since 2007, and a partner since 2015, received his undergraduate degree from McDaniel College, and his law degree from the University of Baltimore. While at the University of Baltimore, Mr. Hurff participated in the Robert F. Wagner Labor and Employment Law Moot Court Competition. Mr. Hurff’s practice areas include family law matters such as divorce, custody, child support, alimony, guardianship, property disposition, and adoption, along with general civil litigation, estate planning and appellate issues. Mr. Hurff is a former law clerk for the Honorable William O. Carr and a member of the Maryland State and Harford County Bar Associations. Mr. Hurff volunteers as co-chairman of the board of the Harford Family House and is a member of the Harford County Bar Association Continuing Education Committee. Mr. Hurff was named to the 2019 SuperLawyers publication. Awards: 2016 Cypert O. Whitfill “One Hundred Years” Award recipient.